Johann Simon Mayr, born in Upper Bavaria, left a legacy of sixty operas and more than six hundred sacred and chamber music compositions. In the early 18th century, this extremely productive composer was one of the most successful opera composers in Northern Italy and his works were played all over Europe. It is all the more remarkable that he is practically unknown today. 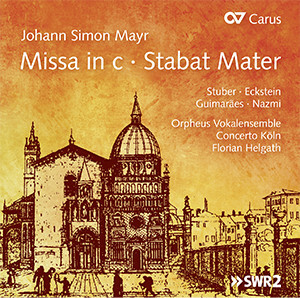 The quality of the music cannot be the reason, as is proved by the present recording of the Mass in C minor and the Stabat Mater. 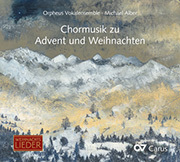 Excellent soloists, the Orpheus Vokalensemble und Concerto Köln under the baton of Florian Helgath do justice to the music. Ein hochkarätiges Ensemble hat ... die beiden Werke in der hochbarocken Basilika St. Johann in Rot an der Rot aufgeführt und vom SWR dokumentarisch mitschneiden lassen. 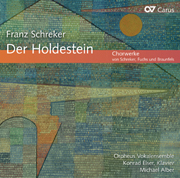 Deze schitterende cd als degustatie van de religieuze kunst van Mayr, kan enkel bijdragen tot de verdere herontdekking van deze vergeten maar ooit beroemde componist. Florian Helgath has managed to create a perfect balance between soli and tutti; the soloists are an integral part of the performing apparatus. Die Aufführung lässt keine Wünsche offen: Das Orpheus-Vokalensemble empfiehlt sich als wendiges, schlank klingendes ... Mayr-Kollektiv, Concerto Köln sekundiert gewohnt souverän. Ich bin von diesen beiden Werken durchaus beeindruckt und allen Beteiligten ist ein überzeugendes Plädoyer für diesen Komponisten gelungen. 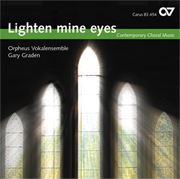 The recorded sound of the Orpheus Vokalensemble has a luminous beauty. ... The Concerto Köln has the transparent blend of an early 19th-century ensemble. Der Einspielung gelingt das insofern, als ein hervorragender Chor mit dem dramatischen Gehalt durchaus umzugehen weiß und trotzdem ein profundes Klangfundament liefert. 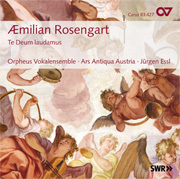 Unter Florian Helgath besticht vor allem das exzellente Orpheus Vokalensemble, das die chorischen Partien ungemein homogen gestaltet, adäquat begleitet von Concerto Köln und vorzüglichen Solisten. Dieser Kammerchor bringt viel Dynamik ein und phrasiert und akzentuiert so, dass beide Werke zu neuem Leben erweckt werden.